distribution Throughout the mountains. Known from nearly all counties in the mountain province, but no records downstate. Despite the common name -- Southern (as opposed to the Northern, for Lanthus parvulus) -- this is an Appalachian and somewhat Northern species, ranging south only to the extreme northern mountains of GA.
abundance Fairly common and widespread. 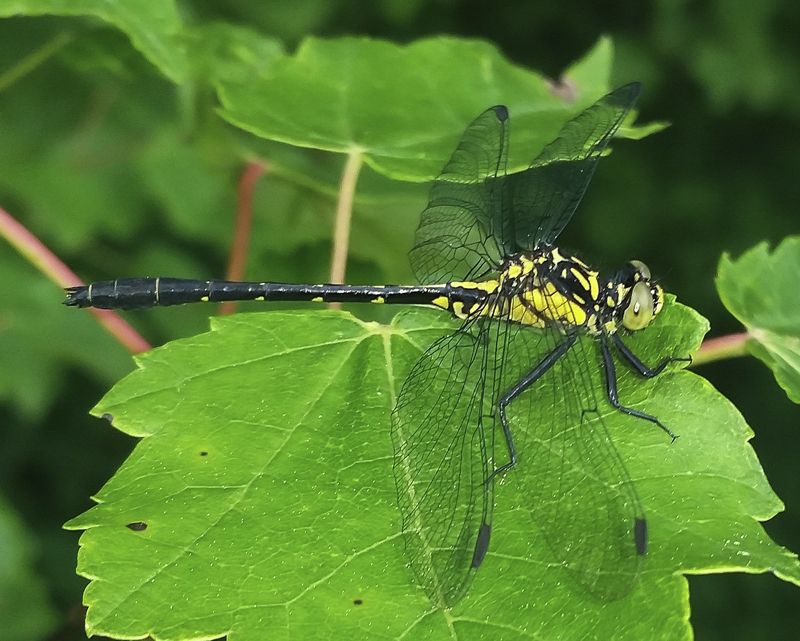 It is one of the more numerous of the clubtails in the NC mountains, even in the southernmost mountain counties. flight Though both Dunkle (2000) and Beaton (2007) mention or graphically portray the early date as mid-May, many have been seen in NC earlier in the season. Perhaps global warming is moving the flight in NC earlier, but its flight in the state is now from mid-April to mid- or late July. The peak occurs from mid-May to early June. habitat Typically breeds at small, rocky streams, often where shaded. behavior Usually seen perched on vegetation, often well away from streams, but in wooded areas, such as along wide trails and dirt roads. Rather unwary and easily studied. comments By mid-May, this can be a somewhat easily found dragonfly near streams and along dirt roads through bottomlands or along streams. It is one of the smaller clubtails, and it is somewhat slender as well. Interestingly, Dunkle (2000) calls the species "uncommon" across its range, and Beaton (2007) calls it "rare to locally uncommon" in its small northern Georgia range. Perhaps it is more common in NC than elsewhere within its range.